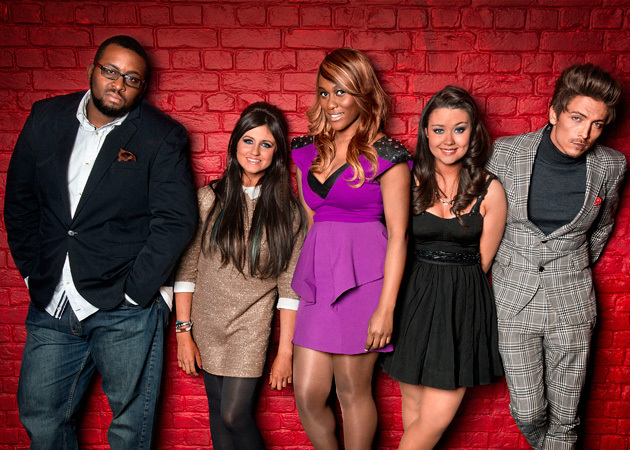 The first live shows of The Voice UK began on Saturday 28th April 2012. In this first round battle of live shows, Teams Will (will.i.am) and Tom (Sir Tom Jones) took centre stage. Here are the team performances with an overview on what could be done to improve. All suggestions are creative critism and advice for improvement. First up was Joelle Moses for Team Will. After her performance, Will stated she was the “bar setter “by going first, as Joelle was worried the placement of first on show would be forgotten or unrecognised, and exemplified her position in the competition as someone who will be heard then the next one comes on, etc etc. Sam sang a timeless Erasure tune. Capable of being a great song choice, Sam’s style fused with this song was tough to watch. Many felt tense or apprehensive watching this. Sam did not need 5 dancers, let alone any. The middle fifth dancer was an oversight. Sam, being in the middle, while two other dancers wither side made the line in place, coach Jessie J even felt there was no need for any of the dancers, which may have detracted from Sam’s overall projection. While Frances needs to gain a little more connection with the audience, it was the first show, and everyone is growing. While her hunky male dancers were “gyrating” with her and giving a rocky vibe with a new edge to the song choice of a Soul sultress, Wood managed to perform a Chaka Khan song that most would never be able to do with such integrity. Wood has the potential to be a contender. Adam sang the Foo Fighters classic with guitar, after struggling to find confidence, and noted this was his key issue. Will acknowledged his effects and lighting behind to set the tone for the Rock anthem, though Adam grew in confidence, his lacking style was apparent. All Adam needs to do is forget the situation with confidence and just sing what’s in front of him. That will grow his confidence. If he continues to allow it to be an issue, it will always hold you back. He may have gotten a sympathy vote tonight. Adam also expressed he suffered a minor injury after falling off stage in rehearsals. While I respect that, you cannot/shouldn’t use that as a form of excuse in the way he presented it. Even when injured, the show must go on, no matter what. Even with injury on stage, Adam could have done more in his performance with the injury apparent. With a timeless classic, Jaz sang the late Etta James beautifully. However, it has all been done before and sparked no new style or exclaimation point as to whom or what Jaz stands for. Everyone is raving about Jaz, and I totally respect his voice, though what contestants now forget is that it is a competition, and you have to set your identity on stage. Jaz is amazing, but the star he can be in the industry will fade out after one album, which is a shame, and something he needs to change if he wants this as much as he says he does. I don’t see ‘it’, even though I respect the Jazz/ Blues style and believe the genre must make a comeback to the business. No one can deny Leanne performed a tender rendition of Pink’s song, though the problem was that it was forgettable. If she wants to crush the competition with her voice and tell people she is ‘here’ then she needs powerful tracks with a mix of genre. In other words not all ballads, though not all power bursters where she just stands there, as this can harm her later on in the series. Song choice is crucial. Sophie’s choice of Titanium was not interesting and provoked no emotional connection from the audience. It did not suit her tone or style she could achieve. Her voice is delicate and though aiming to be current, as the single, currently in the top forty sales charts, didn’t suit her. See needed a song that would have authenticated her sound, instead of the look on stage. Choosing a Fleetwood Mac feel good classic, most of the audience felt bored, as well as not being current, which may have placed both guys in the danger zone. During earlier auditions, Matt and Suleen weren’t looking promising; however, in the battle rounds and on the live shows, both performed extremely well considering their improvement. Both feed off each other in a way that carries the song beautifully and deliver’s a strong vocal. How they succeed may rely on song choice and feel of performance. What a star. The record biz must come calling soon. Able to craft any song into his own and mould the tone with his own design, James is a powerful contender all should be wary of. First Class Performance, sweet and charismatic. Needs a little more confidence, though this will grow over the course of the show. Another sure hit contender. Ruth smashed everyone out of the arena. With a gentle, fragile and melting sound, Ruth proved she is one to look out for. True talent that can topple contenders, everyone needs to bring their A-game when Ruth is around. We may just have found ourselves a young, fresh soul diva. After all performances both coaches would choose from the two polling the lowest number of public votes which one of those would continue in the process, sending the other home. Tom’s team saw Sam alongside Matt & Suleen, where Tom chose for Sam to leave the show. Will’s contestants in danger were Joelle and Sophie, where the coach selected Sophie to leave. It is encouraging to see that the Voice got the voting “right”, as these were both the correct choices to leave the show. Both were in tears of their release. Though many feel it is not much different to its music TV voting show rival, The X Factor. One question has to be cast. Are the hopefuls now pressed into the singing spotlight of stardom too young to cope with the reality of rejection? Contestant of The Voice UK dismissed on age factor? 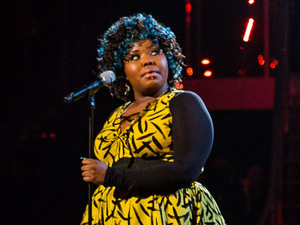 Former contestant on the UK version of The Voice, J Marie Cooper, 27, claims her rejection was down to one factor, age discrimination. 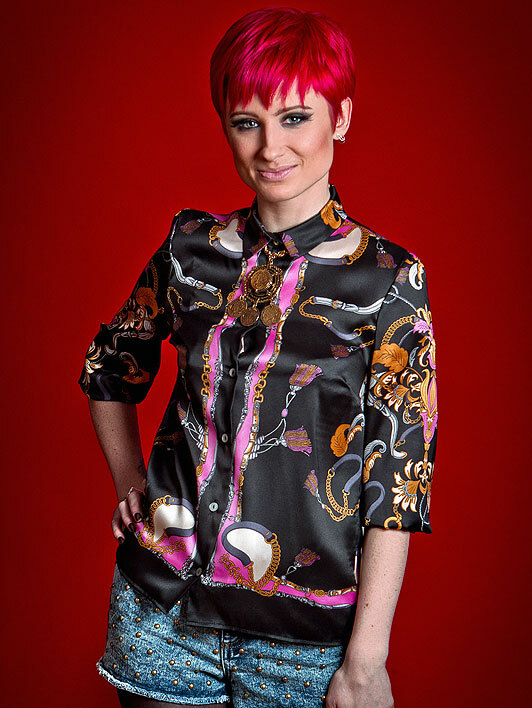 Now known as ageism, Cooper claims the BBC, broadcasting The Voice, favoured her competition in the form of 18 year old Sophie Griffin. 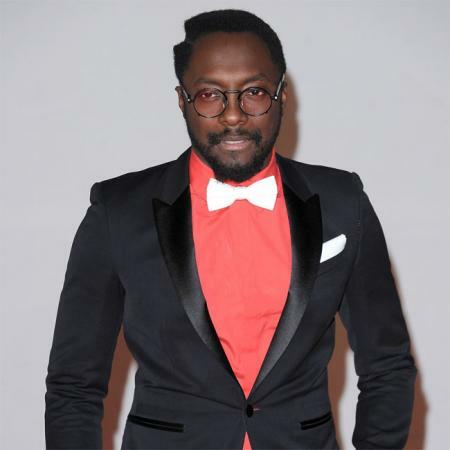 Vocal coach Will.i.am of The Black Eyed Peas, chose the 18 year old over J Marie in a decision that was relevant to him at 18 years instead of when he made it at 28. While Cooper states the BBC were ageist on this, it is in my belief that the BBC did not neglect her for age. Though it played a slight part in the choice, it wasn’t the full reason. At 27 years myself, 28 on Tuesday, I fully understand that for a professional in an industry with exceptional talent unrecognised is deemed too old, yet preferring younger talent, they craft them to lose their identity and become a ‘junior’ on a lower pay scale, J Marie clearly blew everyone out of the water and was strong competition to possibly win the contest. J Marie expressed her upset in an article with The Sun newspaper on April 24th 2012. Sophie beat her in the battle rounds of the competition.